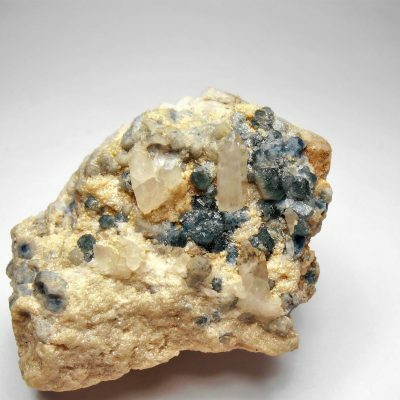 This fluorapatite is from the Sapo Mine in Ferruginha, Conselheiro Pena, Minas Gerais, Brazil. 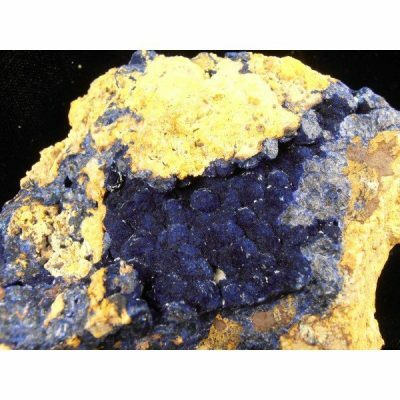 This is a pegmatite location that is mined for the recovery of mineral specimens and gem rough. 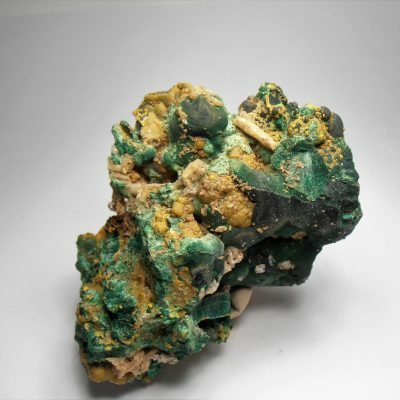 It contains over twenty-five different minerals including fluorapatite. 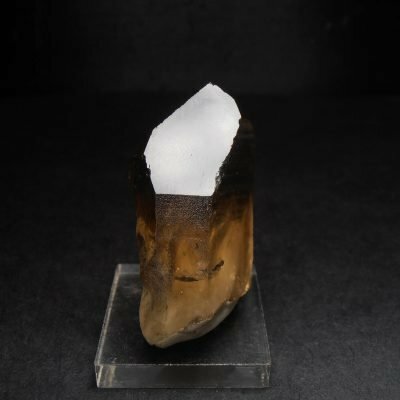 It is a phosphate that contains the elements Ca, P, O and F. This is a small hexagonal tabular crystal with attached feldspar matrix. 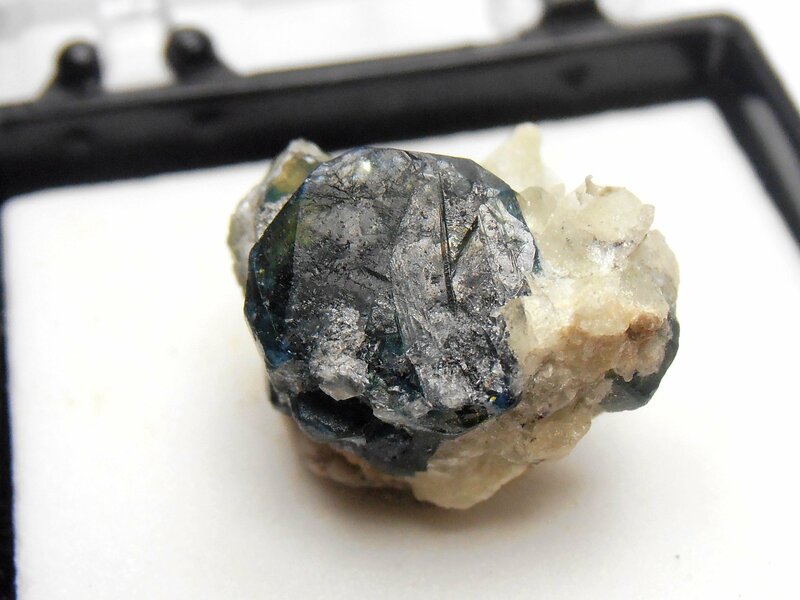 It has a dark blue color and a vitreous luster. 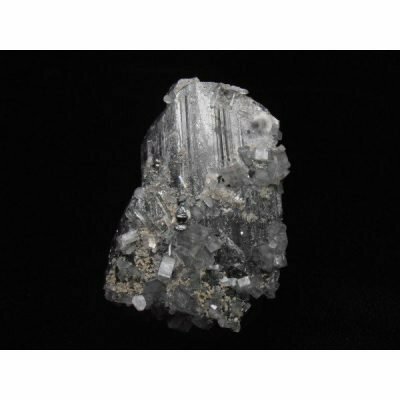 This piece measures approximately 9/16 x 7/16 x 3/8 inches or 14 x 11 x 9 mm.